I am so excited. I am a massive book lover although as an adult I don't often get to indulge. I distinctly remember the joy of reading 'Jamaica Inn' from cover to cover whilst on holiday in Greece. It was the first book I had completed since Freya was born and it felt great. Books have the ability to enrich our lives in a myriad of ways. 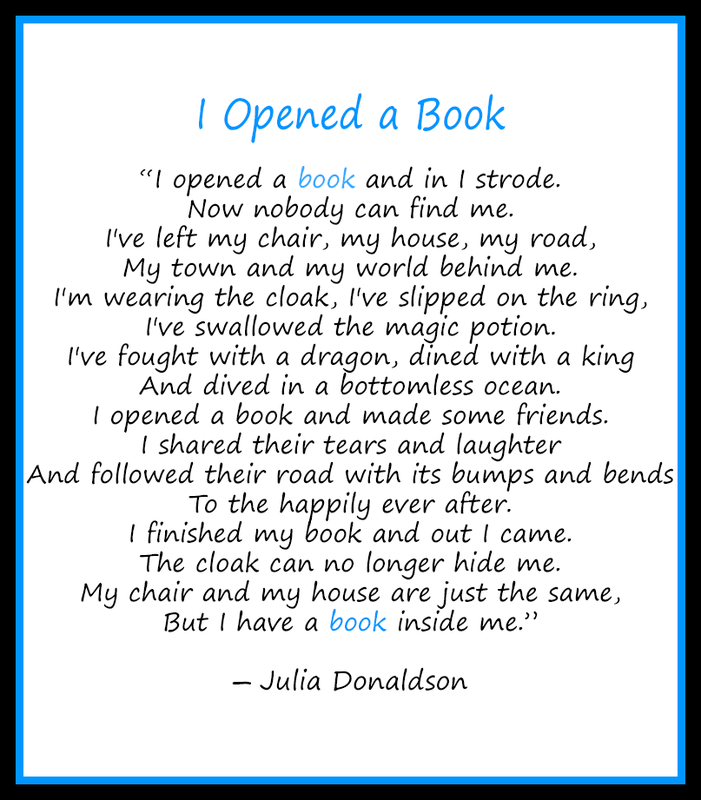 I found this quote from Julia Donaldson, the new children's laureate to illustrate this. 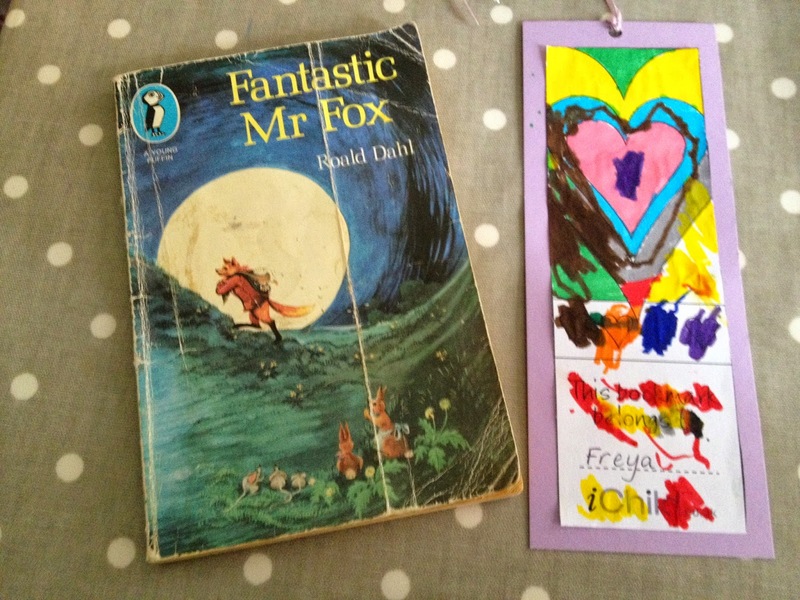 This is my copy of the book from when I was a child and we even made our bookmark. I hope both girls develop a love of reading but really, what's not to love?